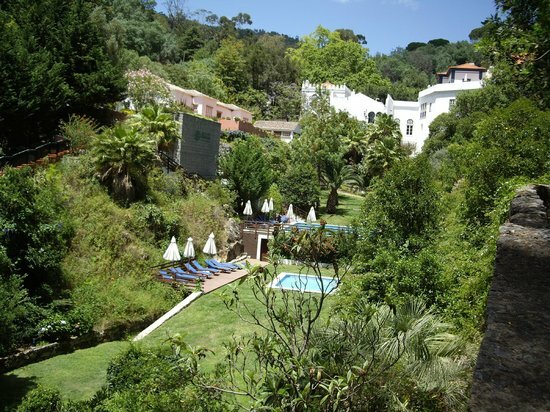 Monchique Council has foregone around €500,000 in property transfer tax, handing an exemption to a group of investors buying the Caldas de Monchique Spa Resort. Adrian Bridge, the CEO of the Fladgate Partnership, Unlock Boutique Hotels and one of the companies that owns the Águas de Monchique bottled water business, have agreed to buy the site from Fundação do Oriente. The Monchique Municipal Assembly already has approved an exemption request from the highly liquid consortium which now will not have to pay IMT, Municipal Tax on Real Estate Transactions when the sale goes through. This give-away by a Council that does not give the appearance of being flush, was a ‘key condition’ for the deal and again shows the inability of local Councils and other State entities to negotiate in the commercial arena without causing division. This is no criticism of the consortium partners whose business reputation is exemplary and it is hoped that in the medium and long-term the municipality will benefit many times over from an increase in tourism, local employment and IMI rates income but the public relations downside from a deal involving a subsidy by local ratepayers, is significant. The Monchique mayor, Rui André, (pictured) says the exemption was granted for 'the good of the municipality,' but faces awkward questions from his electorate when it realises that the Council could have been €500,000 better off – he already has been criticised by his own PDS party colleagues and the Assembly vote was not unanimous, with four votes against and one abstention from the 18 Councillors. The Caldas de Monchique thermal baths and its associated infrastructure is one of Monchique’s gems yet has suffered at the hand of the Oriente Foundation which has failed adequately to invest. The 'Villa Termal' is a resort made up of historical buildings converted into hotel rooms, an outdoor thermal water pool, a thermal spa, meeting rooms, restaurants, shops and a wine bar. The therapeutic properties of the Monchique water have been recognised since at least the time of the Roman Empire, when the spring was designated as ‘sacred waters.’ Eight springs provide water rich in bicarbonate, fluorine, silica and sodium. These waters flow in temperatures between 27°C and 31.5°C. The new consortium will spend ‘around €10 million’ according to the mayor, as it renovates and develops the business and the buildings. Rui Andre may or may not have done a good deal, only time will tell and while I'm sure we all agree that everyone is entitled to put their six penny worth in, for some people to make categorical assertions about what would or should have happened without being in possession of "all" the information and factors involved in this deal is to put it mildly, a bit naive. A dangerous precedent is being set here, even although the mayor's deal has its merits. I was not aware that Councils could decide to let people off their tax obligations. How do we apply? Of course the buyer should pay the tax. This makes the consortium look cheap, not smart. What is surprising is that this tax is at the whim of the council. We now may expect every person and project that will improve something, the impetus for most private investment, to be bleating to the Camara that they could not possibly go through with the deal unless there is a tax exemption. This is bad PR for the formerly respected Fladgate partnership, showing it now to be run by acquisitive shits but more fool the mayor for allowing this to happen. Had it been known the business was for sale, any number of investors may have paid that price and not whinged about the tax bill. More banal conjecture from another hindsight "expert". 2. new economical (tourist) revival ensuring lots of jobs for the region. If I was a Portugese Camara President I definitely know what to choose - specially in the knowledge that the federal gov is doing NOTHING to help these people. So, congrats to the Maire ! Obviously the new owners will bring huge benefits but Ed is right to suggest that it is nonsense to suggest that this well-funded consortium would not have bought the business had the mayor not given it €500,000 in tax relief. Of course it would. Caldas is a jewel not often on the market. €500,000 to the owner of the Yeatman Hotel and the port brands under the Fladgate banner is but a drop in the barrel. However, these businessmen, faced with a desperate mayor, pushed their advantage and screwed the Camara. Shameful, I shall switch to another brand forthwith. Why is it "nonsense" to suggest that the consortium would have have pulled out of the deal if no tax relief had have been given, for anyone to say of "course it would" (buy it), means that they are privy to their board meetings, funding situation and any other investment options available to them for the available cash, if not the comment is worthless speculation. All the comments telling the mayor that he should have faced down the consortium because they had plenty of money to pay the transfer tax are coming from exactly the same mind set of people who would be criticising him if the consortium had walked away from the deal because of his intransigence over the transfer tax ultimatum, hindsight experts. How many of these commentators have been involved in negotiations involving millions of euros, probably none because talk is cheap. Rui André obviously has a better understanding of economics than the people criticising this deal, the mayor has given away absolutely nothing and there is no subsidy by local ratepayers, the article clearly states that the exemption from property transfer tax was a key condition to the deal being done, so no exemption, no deal and no deal means no property transfer tax anyway. No deal also means no taxes in the future if Caldas de Monchique declines to such an extent that it ceases to be able to attract business because the investment required for its regeneration was not forthcoming. It is far better for Caldas, the people who depend on it for their livelihood and the area in general for the Monchique council to be pragmatic about the situation and give these companies a reasonable chance of restoring the area and hopefully make it a successful, profitable and tax paying operation, instead of just letting it continue to decline through lack of investment. None with any business sense would believe that this deal would have failed had the mayor not caved in over the tax element. Possibly a comment from somebody used to doing multi million pound negotiations but more likely from someone whose biggest ever financial deal was getting a mortgage on a semi.